Enchanted Forest CommUnity - Free Spirit & Mind! 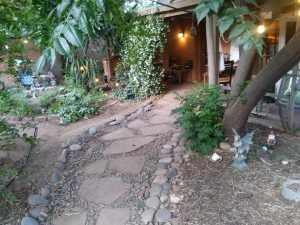 A Nature based intentional commUnity focusing on regenerative sustainability practices, permaculture, urban farming & high vibration gatherings. 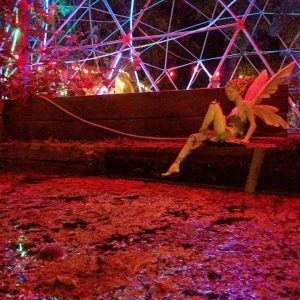 At The Enchanted Forest we are creating space for personal growth through building commUnity connections, learning to live as a tribe, getting in touch with the Earth through gardening and caring for the land through living in a sustainable fashion. 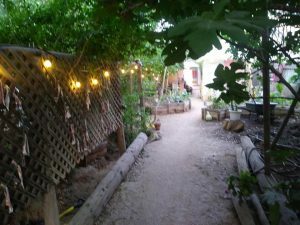 As a permaculture based commUnity The Enchanted Forest CommUnity is working towards creating an urban food forest on the property. As of January 2019 there are over 600 square feet of working gardens on the land. And for that we are forever thankful for. View our garden page here. Solar power on the land that provides the power to our apothecary. A grey water system washer that flows onto one of our grape fruit trees. We also use this amazing soap that turns into fertilizer after it washes our clothes. You can purchase that through The Urban Farm Store here. And we are always looking for more ways to improve and become more sustainable. We live by the rainbow code called, “The Co-Creators Agreements” you can view it by clicking here. As a resident it is required that you honor & live up to these codes. Our commUnity is constantly hosting high vibe events & workshops. Some are FREE and are provided to encourage growth, knowledge & commUnity connections. While others have a fee, which help maintain the land & keep us adding to the big dreams ahead.